For many of us, when we visit corporate social media accounts, we’re not necessarily expecting to be entertained, moved to get involved, or even full on cracking up at our phone or laptop screens. 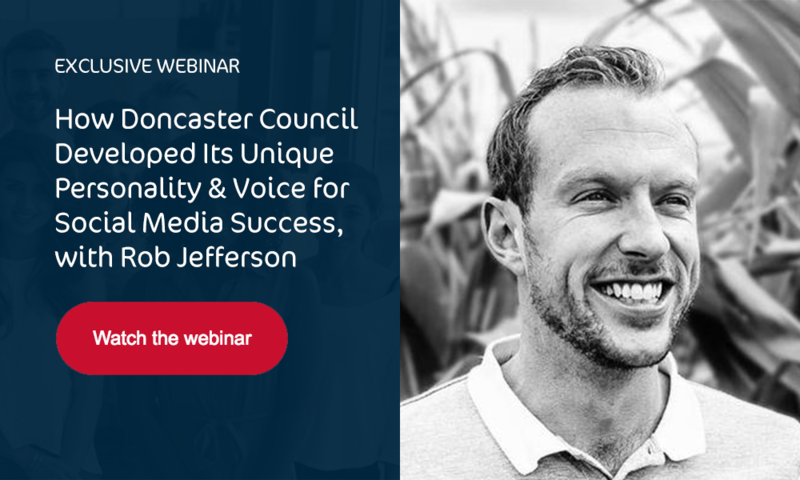 To explain just how their content made it onto Twitter’s moments and got picked up by Sports Illustrated, yesterday we invited Doncaster Council’s social media guru, Rob Jefferson (@RobJefferson on Twitter) to join us on the latest CrowdControlHQ webinar. Once again it was fantastic to see lots of our readers join us live yesterday, but for those of you who not only missed out on hearing Rob’s very wise words, but also Mia the cat’s guest appearance, this blog is for you! Firstly, why do we need to be concerned with personality and tone of voice on social media? Even in the run up to our webinar, we received a couple of questions about whether there is value in spending time and energy on giving a public body like a council, a personality. As Rob confirmed this is a question he is frequently asked and is a very valid concern. Building a personality on social media is not simple nor easy and requires planning and commitment. It’s very easy to fall into the common traps of focusing on amounts of content rather than the quality and relevancy of the content itself, and to slip back into default mode of broadcasting rather than engaging. It’s at this point that Rob advised taking a step back to consider what you yourself are drawn to on social media. Is it the types of content you are creating? Or do you favour content that is human, has personality and stands out? 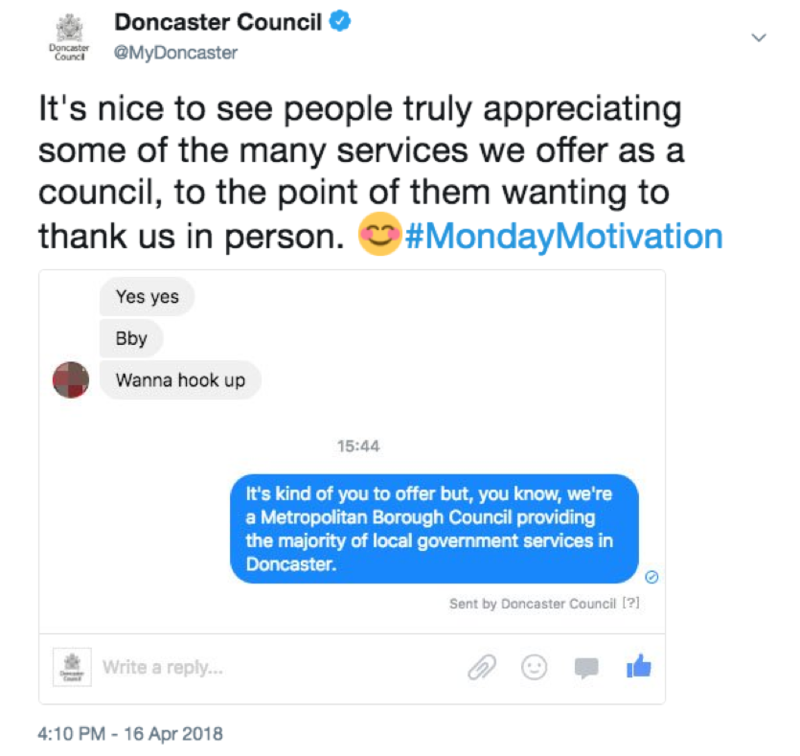 For Doncaster Council, recognising this was the first step in changing their approach to social media to drive more positive conversations with more people! It’s all well and good knowing how to make change but doing something about it is entirely different. 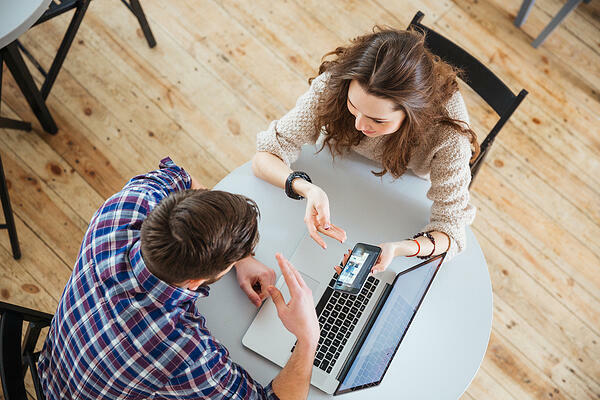 For many Social Media Managers getting creative with social media content and pushing the boundaries comes with a certain level of trepidation. Taking the idea that if you find it funny and interesting then others probably will too, the team decided to take it further and share their thoughts on social media. 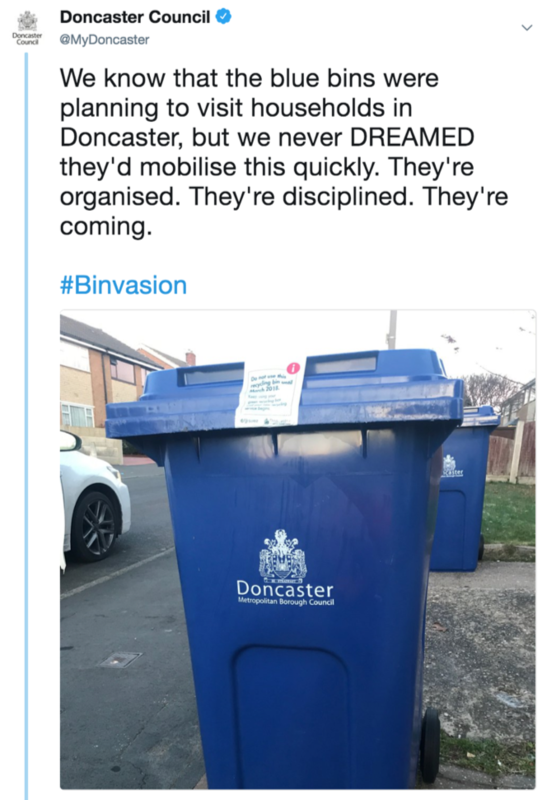 This sparked a huge response with residents sharing their own version of the #Binvasion by creating spoof videos and photos. 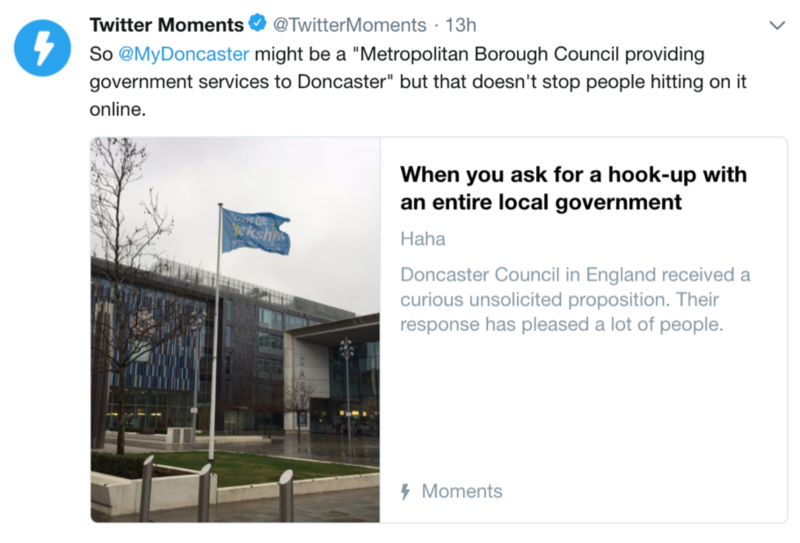 Needless to say, it was a hit because it was a match between what the council needed to talk about, whilst engaging and entertaining the audience. Building this kind of relationship with your audience is so important because when the time comes that you do actually need their help to respond to a crisis, they are more willing to help because you've put the effort in to win their trust and attention. How can you define your own organisation’s personality? So now you know what you want your organisation’s personality to look and feel like, but it can sometimes be difficult to envisage. Celebrate #InternationalCatDay by demanding to be let outside then immediately asking to come back in again. 2. 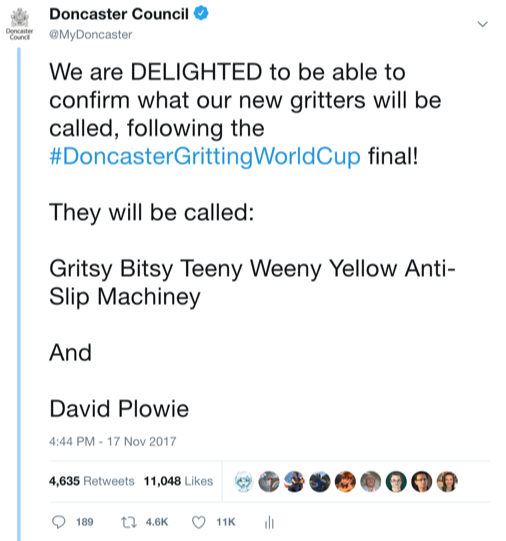 Wendy’s – if you’re wondering how to push the boundaries and have fun with customers look no further than Wendy’s, this is just a taster of how sassy the team are! 3. Yorkshire Tea – if you’re a regional organisation look to Yorkshire Tea to learn how to promote local values, incorporate colloquialism and beam pride in your area. 5. 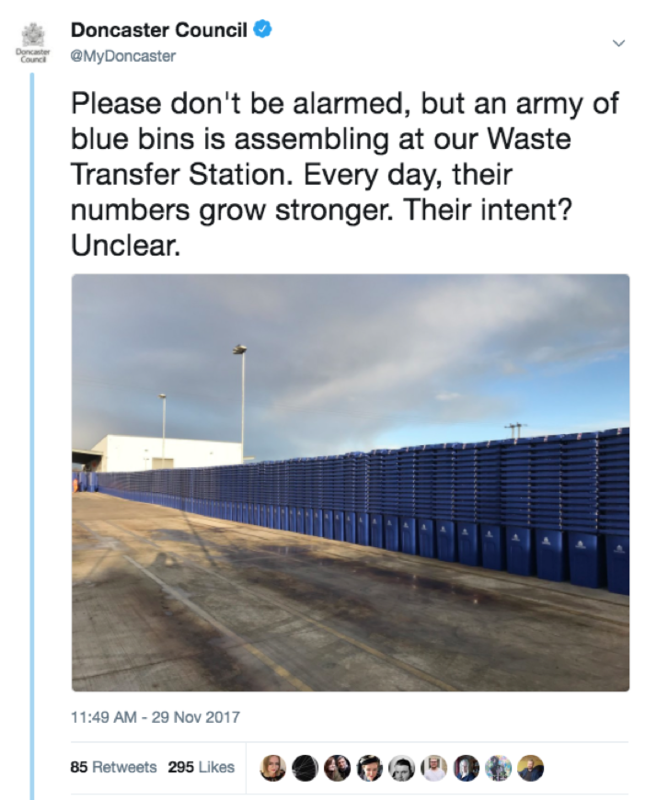 James Blunt – finally, the team at Doncaster aren’t alone in admiring the perfect self-deprecating content of James Blunt who deftly delivers killer one-liners! 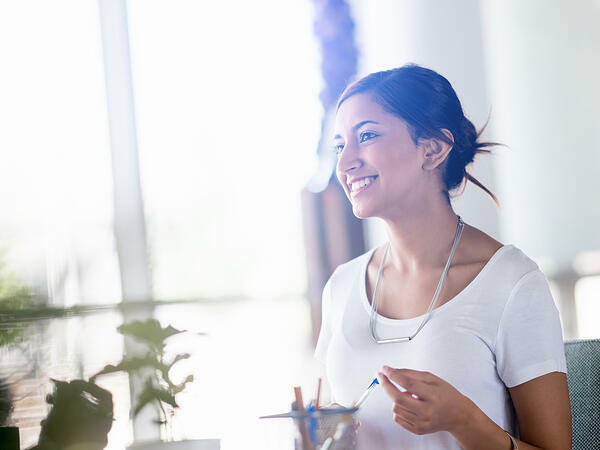 Finally, it's a case of actioning your planning and beginning your journey to embodying the personality and tone of voice that's right for your organisation. 1. 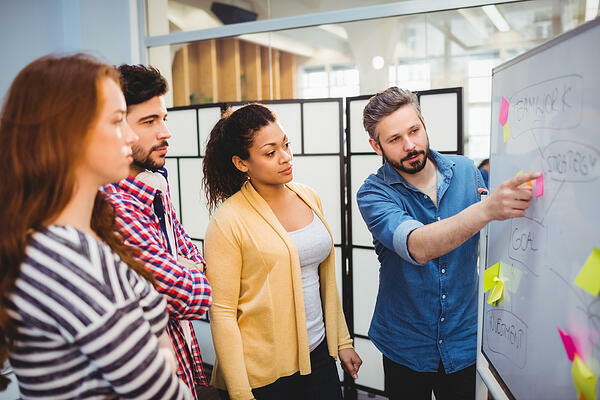 Start with a smaller team of colleagues focusing on creating and responding to your core social media content, just while you experiment and figure out what works. This will help to ensure that the tone is right and remains consistent while your audiences get to grip with the changes. 3. Just as you should take the time to devise new social media campaigns, it's equally important to set time aside to evaluate the results and use this information to inform future decisions. 4. Prepare for some failures - not every campaign is going to set the world alight so remember that just because it hasn't worked this time doesn't mean it won't ever. 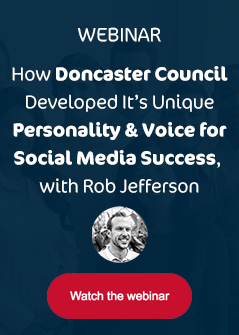 So that was our write up of this week's webinar, special thanks again to Rob for taking the time to share his experiences in developing a public personality for Doncaster Council 👏. We certainly learnt a lot and we hope you did too!